I love my November birthday Stone that is Topaz, but thing I really don’t like about my birthstone is its Orange color. But, one day, one of my family member received as a gift a ring with a beautiful blue gemstone, and that was my introduction to blue topaz. I was really happy to discover there was an alternative to the orange topaz. But, I never thought to wonder what was behind the blue color. Gemstones are irradiated with a specific aim that is to enhance and deepen their color. It is the process of using electromagnetic radiation to alter the color of a stone. In early 1900’s, Irradiation used by scientists like Bordas and Crookes, they used radium salts to change blue sapphires and diamonds green. What effect does irradiation have on Topaz or Other Gems? 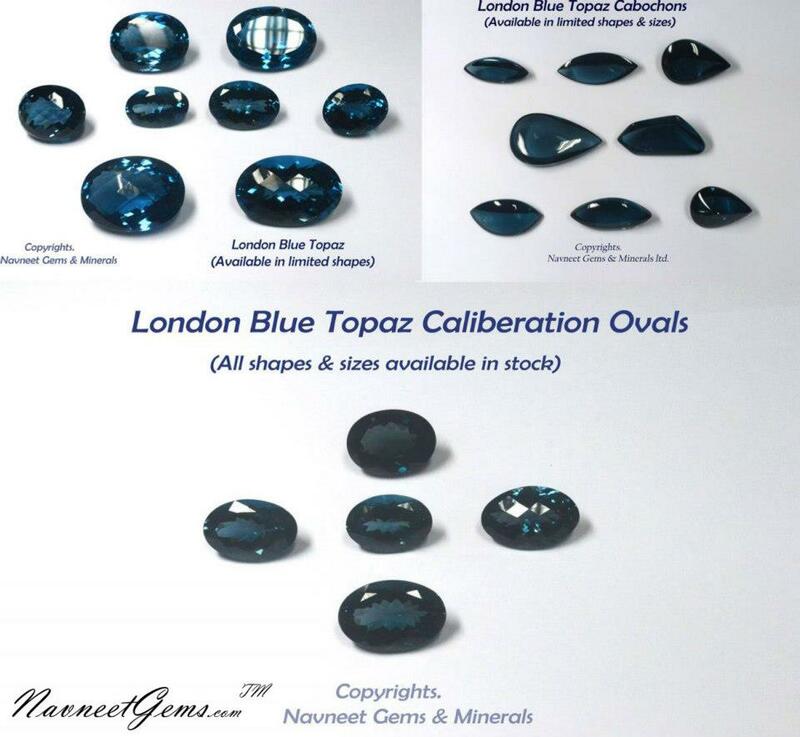 Irradiation of blue topaz gemstone has created shades not found in natural blue topaz, for example, Sky and London Blue. Also, Topaz stone is not the only gems treated with radiation to change its color. Other gemstones are sometimes irradiated to change their color. For example, Off-color diamonds or we can say browns and brown-yellows diamonds can be irradiated so as to turning them into intense yellows, pinks, browns, greens and blues. 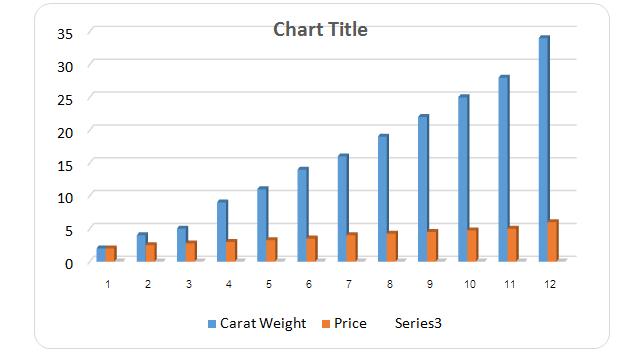 Irradiated diamonds are inexpensive than their natural counterparts of comparable clarity grade, size and color. Tourmaline gems can be irradiated to darken pink gems into red ones. All in all, the longer gems are exposed to radiation, the deeper the color. By the way, not all radiation treatments applied to stones make them radioactive. This is because if they are bombarded with neutrons, then trace elements in the gems can become radioactive. Besides, gemstones can also be treated using gamma radiation, which does not make them radioactive or activated. Which Type Of Machine Does Blue Topaz Being Radiated With And Why Blue Topaz Takes So Long To Be Heated? Heat treatment is one of the oldest as well as the most common of treatments. This treatment is usually performed in kilns or ovens where the temperatures range from 200 – 2000 degree Celsius. There are two vital things to know about blue topaz. 1) While topaz is very hard, so it is not the most durable stone it has perfect cleavage. That means blue topaz can be split or chipped by a sharp blow. Thus, this gem must be protected from hard knocks. 2) Naturally, topaz does not occur that in the deeply saturated blues you can easily find on the market or online today. Also, Blue topaz is very rare indeed as well as tends to be an extremely pale blue. Besides, all the vivid blues available on the market or at online gemstone shops have all been produced by treating white topaz with irradiation. • Sky, Swiss and London Blue are three main shades of blue topaz. London Blue is a much deeper blue color while Sky and Swiss are on the lighter side. • When thrown into a pot, it is believed that topaz can cool boiling water. • Topaz is white or near colorless but through natural or man-made heat the stones come in many colors. Blue is the most popular color, But you can find topaz in yellow, red, pink, green and plenty of other color variations. • Aside from blue topaz, there are two other blue gemstones known to be December’s birthstone- Tanzanite and Turquoise. All three gems are different but all have a beautiful blue color. • The blue topaz gem symbolizes eternal love and faithfulness when gifted to a loved one. Is It Unsafe To Wear Irradiated Blue Topaz? A lot people ask this question. Not only blue topaz but all irradiated stones are not harmful because they may be slightly radioactive quickly after their treatment. Also, the Nuclear Regulatory Commission (NRC) has no reason to believe that wearing irradiated blue topaz and other gems can be harmful. Also, there have been no reported cases of anyone being harmed by wearing these gems. By the way here is a tutorial on How to clean your Blue topaz. Does Irradiation Make The Blue Topaz Radioactive? Yes, it can. Generally, the longer the blue topaz is exposed to radiation – and the more intense the radiation and the deeper and more attractive the blue color. Besides, this also boosts the chance that trace elements in the gem become radioactive. Additionally, activation can occur in topaz that are treated in an accelerator or in a nuclear reactor. Also, treatment using gamma radiation does not make gem radioactive or activated. Is It Illegal To Sell irradiated Blue Topaz? Today, a lot of fashion designers and jewelers say that it is now not legal to sell blue topaz because it causes cancer, which completely untrue. There is no proof or reasons to believe any irradiated gems pose any health risk and much less cancer. Do you know that NRC has not advised or ordered anyone to stop selling irradiated stones, including blue topaz? A skilled gemologist might be able to tell by examining the gemstone. But it can be very hard to determine whether a stone has been treated in a reactor, accelerator or irradiator. Usually, irradiated gems blue topaz are inexpensive than their natural counterparts of comparable color quality like most stones subjected to enhancements. Apart from blue topaz, irradiated diamonds, which are much less costly than natural color diamonds. Blue topaz is a resilient gem, and irradiation and heat enhancements do not greatly affect its durability. In addition to this, the combination of irradiation is considered stable. 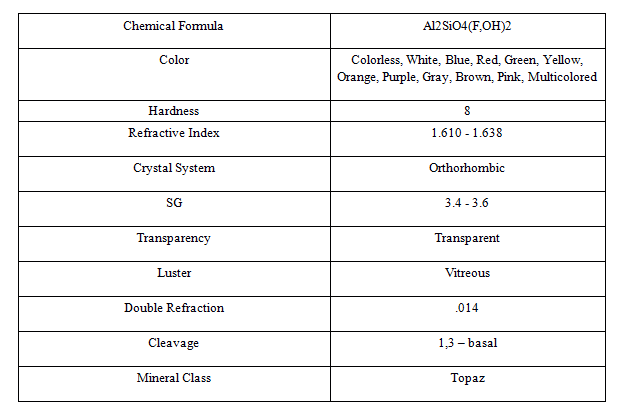 Also, topaz has a hardness of 8 on the Mohs hardness scale and is considered durable and tough. At the present time, irradiation is regularly used to color a lot of gemstones, including topaz. Some of the other gemstones include Diamonds, Yellow Sapphire, Amethyst, Tourmaline Beryl and Pearls. Also, the process by which irradiation changes stone’s color is genuinely clear. Apart from, Radiation causes electrons to be knocked off a few atoms, and leaving them free to be absorbed by others, and this has the impact of making “color centers” which thus alter the light-absorbing pattern of the stone and augmentation its color. Blue Topaz is a very attractive gem, and frequently is used for making jewelry products like pendant, earrings, necklace, rings, etc. Since ancient times Topaz Jewellery that has been present, and has always provided a stunning item of jewelry for all to wear. Apart from this, Blue Topaz has been considered as a talisman to help protect the wearers from all evil during their life.